E-commerce Business Plan - What is it and How to Write One? Are you planning to start an e-commerce business? Do you want to get a better sense of all the factors that can affect it (global economy, industry trends, competitors, etc.)? Do you want to define and prioritize your business objectives? Do you need to apply for a loan or an investment to jump-start your company? If you answered “Yes” to any of these questions, you need an e-commerce business plan. An e-commerce business plan can benefit you in numerous ways. For one thing, it will help you define your business goals and will give you a better idea of how you can achieve them. For another, it will help you identify potential challenges. It will also help you overcome them as they occur. In addition, it will guide your marketing and sales efforts so that you can successfully grow your business. Last but not least, there is no way to apply for a loan or an investment without a business plan. At the very least, it will assure banks that you will be able to pay off your debt, and help investors determine how high their potential ROI (Return On Investment) will be. So far, so good. But how do you even begin writing an e-commerce business plan? And, if you have never written one before, how do you make sure you do it right? This is what we will tackle in this comprehensive and straightforward step-by-step guide! The executive summary can either be a separate document or a part of your business plan. Either way, it should be compelling, positive and concise because it is the first thing investors will read. Sure, they don’t have the time to read a 50-page business plan. But they can certainly afford to read a 2 page summary of it. And if it gets their attention, chances are they will ask for your complete business plan. Keep in mind that the point of the executive summary is to provide investors and banks with just about enough information to get them interested in your business. This is why it is best if you write it after you have written and revised your entire business plan. This way you will have a very clear idea of what you should include in the summary. If you need to get a better idea of what you can include, you can click here and see an example. Ownership. What is the legal structure of the company? Is it a sole proprietorship, a partnership, etc.? Founders. What are the names of the company founders? What are their roles in the company (CEO, CTO, CFO, etc.)? What are their skills and expertise? Team. What is the background of your key employees? How can their experience help you build a successful online business? Business objectives. What goals do you want to achieve in 1, 2, or 5 years? How do you plan to achieve them? What are the potential challenges? How do you plan to overcome them? Company values. Your company values are an essential part of your company culture. They are also, in a way, the identity of your business. This is how Net-a-Porter, one of the world’s leading online fashion brands, presents its company values. When presenting their corporate culture, they also use words like ‘professional’, ‘gracious’, ‘diversity’, ‘pioneering spirit’ and ‘can-do attitude’ which perfectly describe their global and truly fascinating brand. If we could give you one piece of advice regarding this part, it would be to follow Net-a-Porter’s example and speak from your heart. This is the mission statement of Puma - it is concise, it explains what drives them, what they strive for and, ultimately, why their company exists. This is what you should aim for when writing your mission statement. Unique value proposition (UVP). This is probably the most important part of your company description and also of your entire business plan. The UVP is what gets investors interested in a business. It is also the reason why they decide to fund a business. Thus, your UVP should answer one question - what is the one thing that makes you better than your competitors? What do you bring to the table that nobody else does? For example, this is how Stripe, one of the leading payment providers, presents its UVP. 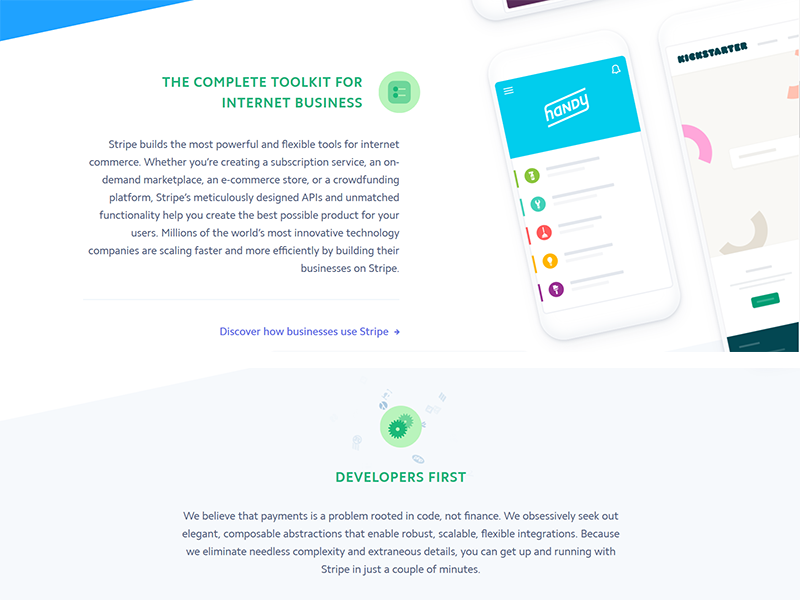 Sure, Stripe uses vague expressions like ‘the most powerful and flexible tools for internet commerce’, ‘unmatched functionality’, and ‘the best possible product’. But they also clearly state what is unique about them and it is their meticulously designed API which eliminates needless complexity. As a result, you can set everything up in a few minutes and scale your business much faster and more efficiently. Ultimately, Stripe’s UVP highlights the benefits of their product and emphasizes on what makes them unique. If you manage to write your UVP in such manner, investors will want to read more about your product, business models, and financial plan. This section aims to give investors a better idea of the product or service you offer - features, specifications, etc. Once you state which product sourcing strategy you will use, you have to explain why it works for your e-commerce business. In addition, each model presupposes some obstacles which you need to tackle in your business plan. For example, if you make the product in-house, scaling your online business can be challenging. You can tackle this issue by streamlining the whole process from production to shipping. This includes dealing with bottlenecks (such as labor-intensive or time-consuming steps), automating mundane tasks (such as boxing and shipping), etc. You can also hire more people and continue to make the product in-house, or outsource manufacturing to a third-party company. Working with a manufacturing company raises a ton of questions regarding product quality and production times. If you have chosen this model for your business, it is essential that you explain how you plan to deal with these issues. Finding a legit manufacturer will guarantee you won’t have to worry about product quality. However, you will still have to make sure that they will be able to meet your deadlines. Most factories will not produce your product immediately after taking your order. Thus, you will have to plan your inventory ahead of time. If you buy wholesale and resell at a higher price you will need to explain how you will get ahead of your competitors. Why would customers buy this specific product from you and not from another merchant who sells it as well? Your competitive edge could be a lower price, complimentary products (such as accessories), free delivery, next-day delivery, worldwide shipping, etc. Last but not least, if you have chosen dropshipping, you will need to explain how you will deal with customer returns and exchanges (one of the major obstacles the model presupposes). 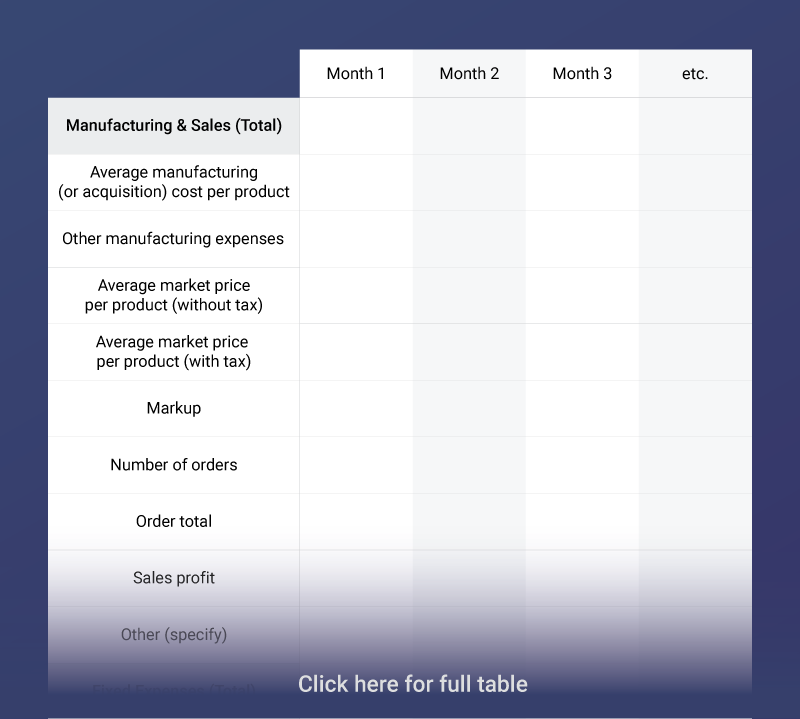 You can also explain how you plan to measure the suppliers’ performance. One way to do this is by conducting customer satisfaction surveys related to product quality, delivery times, etc. This section aims to give investors a better idea of your target market and the viability of your product idea. What is the potential market size for your product? What are the current market trends? Which current trends can you capitalize on? Which customer segment (or segments) will you target? In other words, who is your ideal buyer (age, location, income, interests, etc.)? Why did you choose to target this particular segment? Why would people keep buying your products in the future? You should be very specific when you answer these questions - use hard numbers, include graphs, cite credible sources, etc. Investors will want to know how many competitors you have and how you plan to get ahead of them. To be able to answer this question, you should do a competitor analysis, i.e. research all of your current and potential competitors in order to get a better understanding of their strengths and weaknesses. Knowing what your competitors do right and, more importantly, what they do wrong, can be extremely beneficial. One way to get this information is to read the reviews customers have left on their websites and pay extra attention to the bad ones. For example, if you realize that people are complaining about the customer service your competitors offer, you can make sure you deliver the best customer service possible - phone, email, social media, etc. You can even add a live chat to your website so that customers can reach you 24/7. Even if you cannot afford to offer them 24/7 support just yet, you could set up automatic responses that assure them you will get back to them as soon as possible. Or, if you realize that people are complaining about unexpected delivery fees, you can make sure you communicate all fees upfront - you can use popup windows or include the information in the product descriptions. Ultimately, each competitor’s weakness could be your USP (Unique Selling Point). Highlighting your USPs is what you should focus on in this section. However, you should also present your competitor analysis. A list of all your direct and indirect competitors. A profile of your biggest competitor and their unique selling points. Your USPs. Make sure you do not differentiate yourself based simply on price. Instead, take into account a variety of factors - features, quality, competitors’ weaknesses, etc. Be very specific. Avoid vague expressions such as ‘higher quality’, ‘cutting-edge technology’, ‘unique features’, etc. These might be great for promotional banners but when it comes to business plans, being ambiguous is not the way to stand out. So far, so good. You’ve proven you have a viable product idea, a perfect customer segment to target, and a competitive edge. The next thing investors will want to know is how you will sell your product. A marketing strategy can make or break a business (especially a startup). Thus, you should prove investors you know what you’re doing. How will you market your products? Let’s take a closer look into each of these questions. Question 1: How will you market your products? Will you do SEO to drive organic traffic to your website? Will you employ content strategies? Will you use paid ads? Will you advertise on social media? Will you do influencer marketing? Will you run social media contests or giveaways? Will you send promotional emails and newsletters? How will you build your email list without infringing GDPR if you sell to European customers? Note that this list is far from being exhaustive. Depending on the specifics of your business and product niche, you might have to include different, or more specific information. However, there is one guideline you can always follow - try to maintain the balance between paid and organic marketing because this is key to a successful marketing strategy. Question 2: What technology will you use? What tools will you use for link building (BuzzStream, MozBar, etc.)? What tools will you use for backlink analysis (Ahrefs, Majestic SEO, etc.)? What keyword research tools will you use (Google Keyword Planner, Answer the public, LongTailPro, etc.)? What technical SEO tools will you use (Yoast SEO, SEMrush, etc.)? What content optimization tools will you use (BuzzSumo, SEOptimizer, etc.)? What rank tracking tools will you use (AuthorityLabs, RankRanger, SEO rank monitor, etc.)? What tools will you use for paid ads? Will you use the Google Marketing Platform and the Facebook Business Manager? How will you integrate these platforms with your store? Will you use Google Ads, or MailChimp Facebook Ads, for example, to seamlessly manage your ads? How will you design your ads? Will you use Canva or Photoshop, or maybe employ the services of a professional designer? What email marketing tools will you use (MailChimp, Storakle, etc.) and why? Since email is no longer the king of marketing communication, will you use tools that employ Facebook Messenger or SMS, for example? Have you considered using a chatbot, or adding a live chat to your website? Which analytics tools will you use to measure the overall success of your marketing activities (Google Analytics, Kissmetrics, etc.)? Question 3: How will you measure your success? Or, which key performance indicators (KPIs) will you monitor? Some common KPIs include conversion rate, cart abandonment rate, bounce rate, churn rate, customer lifetime value, etc. Ultimately, your goal is not to monitor countless KPIs but rather the ones that are relevant to your business. To define which they are, you need to consider your business objectives. In other words, each KPI you monitor should be clearly connected to a specific business goal. For example, if you want to increase your sales with X% by the end of the year, you can say your goal is to lower your cart abandonment rate with Y% and increase your conversion rate with Z%. In this section, you need to present a sample financial plan, a projected cash flow chart, and a break-even analysis (if needed). This is an example of what you can include in your financial plan. You can make your financial plan as detailed as you want. For example, instead of simply giving an estimate of how much all utilities will cost, you can specify how much you will spend on heating or phone bills. What information you choose to include in your financial plan is entirely up to you. 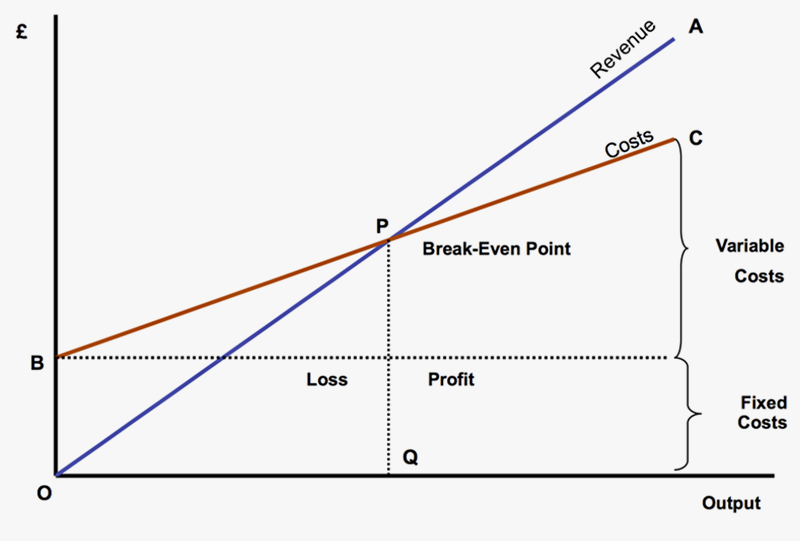 However, it is essential that you conclude it with a projected profit and loss (P&L) statement. 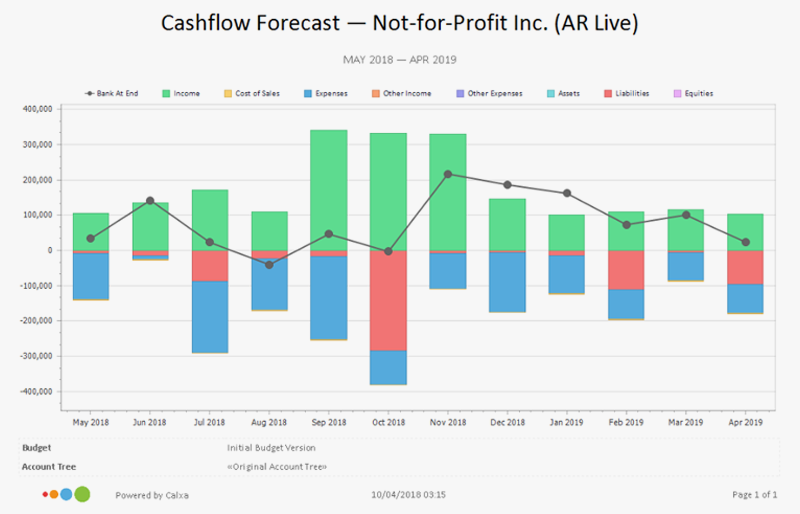 A cash flow chart (or graph) shows investors whether your projected cash flow is positive or negative. A positive cash flow means that the money you spend is less than the money you earn. A negative cash flow means that the money you spend is more than the money you earn. Having a negative cash flow is not necessarily a bad thing. Many companies, especially startups which heavily reinvest in their business, operate at a loss for years. But if your cash flow is negative you will have to say when you expect to break even and start marking a profit. In order to answer this question, you will need to make a break-even analysis. A break-even analysis helps you define how much revenue you need to generate (on a monthly or yearly basis) in order to cover the costs (fixed and variable) of running your e-commerce business. This is known as a break-even point. After you’ve done this, you can move on to the last section of your business plan - the funding request. How much capital do you need to start your business, achieve your business goals and build an established e-commerce business? How will you use the money that has been invested in your business? Once you’ve written your funding request, your business plan will be complete. It might seem overwhelming, but writing an e-commerce business plan is not rocket science. In fact, if you focus on answering one question at a time, the writing process can become a breeze. To make things even easier for you, we have prepared a list of best practices you can follow. Use a formal writing style. Business plans are formal documents. Therefore, using a formal writing style is a must. Be specific and go into details. Avoid ambiguous or vague terms and expressions. Cite credible sources and use hard numbers when it comes to percentages, money, time frames, etc. Keep it short and to the point. Omit anything unnecessary. The more concise your business plan is, the better. Put yourself in the readers’ shoes. If you were an investor who is considering the possibility to fund a business, what questions would you seek answers to? Use visuals. Include as many graphs, charts, or tables, as necessary. However, don’t overdo it. Keep the formatting of your business plan simple and clear. Edit. Pay extra attention to details - make sure that every statement, graph, and number is correct. Get a second opinion. Send your business plan to at least one more person and ask them what they think. It doesn’t matter if you send it to a family member or a friend. What matters is that you trust them and that they have the expertise to give you valuable feedback. Proofread. Impeccable grammar is essential to formal documents. Therefore, proofreading your business plan before you send it to potential investors is a must. Aside from helping you get funding, an e-commerce business plan can benefit you in numerous ways - from defining your business objectives to finding the most effective ways to overcome potential challenges. Executive summary - a concise overview of your business plan. Company background - company name, ownership, team, values, mission, UVP, and business objectives. Product or service - a description of your product, its features, and the product sourcing strategy you will use. Target market - market analysis and a profile of your ideal buyer. Competitors - a competitor analysis (number of competitors, biggest competitor, and their advantages), and a list of your USPs. Marketing strategy - marketing strategies, marketing tools, and the KPIs you will measure. Financial plan - a sample financial plan, a projected cash-flow chart, and a break-even analysis. Sure, writing an e-commerce business plan is a time-consuming task. But the effort and time you invest in it is going to pay off greatly later on. We hope this guide will help you write an outstanding business plan, one that will help you get funding, achieve your business goals and grow your business. If you have any questions or want to share your experience with writing a business plan, feel free to leave a comment in the comments section below! It's a very good information for launching your new E-commerce website. It covers all basic topic of e-commerce website. This blog gives you complete overview of analysis of eCommerce website that hints you how to analyze your eCommerce website. It is necessary to make good analysis of eCommerce site which benefits you to get more customer on your website.